Record shopping used to be a favorite pasttime of mine. I loved searching stores to discover a band I would love for years to come, picking out albums based on the feeling I got from looking at the cover, song titles and record label. Adult responsibilities have made this hobby much less feasible, but I still get excited to look through record stores when I have a few extra bucks in my pocket. Record Store Day, taking place on Saturday, April 19, started in 2007 with the hope of promoting the record collecting culture and giving a boost to more than 1,000 independent record stores. It has since taken off and become quite the phenomenon. The third Saturday of April has become almost a holiday for music lovers. Fans eagerly await the list of collectible records being released specifically for Record Store Day. Stores have limited copies and people line up hours before stores open their doors hoping to get at least a few items on their list. There are usually giveaways, contests and live music to help celebrate this special day. Most importantly, it gives a sense of community, as this holiday targets a unique audience: music lovers. Everyone is there for the same purpose and everyone understands each other’s obsession. 1. How long has your store been open? 2. What made you decide to open a record store? 3. What are some of the rewards and challenges? 4. What makes your store special? 5. How can record stores remain relevant in this day and age? 6. What are your thoughts on Record Store Day? 7. What are your plans for Record Store Day? Armageddon Shop is located at 436 Broadway Providence. Hours of operation are Monday – Saturday 12 – 8pm and Sunday 12 – 6pm. You can call Armageddon Shop at 401-521-6667 or check them out online at armageddonshop.com. 1. We opened in 2001, so we hit 13 years in business this past January. 2. The idea to open Armageddon Shop was conceived in spring of 1999 by Ben and Anne. Providence had no truly independent shop left dedicated to underground music, especially one focusing on vinyl. While working and saving money, we were also scouring flea markets, yard sales and other shops for records, tapes, CDs and anything else we thought would be good to have in the shop. A space was located and leased in September 2000, and work began. The space was cleaned, painted and improved. All the fixtures were built by us, except the magazine racks, which we acquired from a closed bookstore. Inventory was moved in in December and it was cleaned, organized, priced and stocked. Ben and Laura (Load Records), Lars, Damien and the two of us spent many nights and more than a few beers and pots of coffee getting things together (Thanks, you maniacs!). A pre-opening party on January 12, 2001 was a great time — friends from NY, NJ, MA and RI came down to hang out, eat, drink and fight to the death for rare LPs. The doors opened the next day, January 13, 2001. We haven’t looked back since. In July 2005, Chris Andries stepped in as a new partner in the shop as Anne left to travel and move on in life. The shop has continued to grow, and we’re hoping to keep it growing and improving as much as possible. Our goal is to be the best record shop possible within our means, with our own touch. The idea was to create a shop that we as music hounds and record collectors would enjoy shopping in. We have a very serious focus on vinyl. We like records and we run a record shop, unlike other shops that have “Records” as part of their name and yet have none. We also stock CDs, cassettes, videos, magazines (both current and back issues), t-shirts and a few books. 3. The best days are when you turn people onto new sounds they haven’t heard, when someone finds something they’ve been hunting for forever, when people meet and start talking in the shop, and when folks let us know that our being here means something to them. Challenges are just the basic daily issues of running a small business. 4. We care a lot about what we do, and we strive to constantly improve the shop and take care of our customers. 5. Dedication and love of the music, art and community they are a part of. 6. Record Store Day has its pros and cons. On the good side, it gets people to come in a check out the shop who otherwise might not. 7. We will put out a ton of newly priced used records, like we do every year, plus stocking the Record Store Day titles we feel made the cut. We will also be giving our Record Store Day customers free releases donated by local bands and labels like we did last year. In Your Ear is located at 462 Main St in Warren. It is open Monday – Saturday from 11am – 6pm and Sunday 10am – 3pm. You can call In Your Ear at 401-245-9840 or check them out online at iye.com. 1. Except for a hiatus between moves in the early ’00s (from College Hill in Providence to Main Street in Warren), In Your Ear has been in business in RI since 1985 (29 years). 2. We had been selling records on various campuses, visited Brown University and decided that Providence was a great location. 3. The reward is the same that it was when we started — being able to turn people on to music that they might not have heard before. Now that we’re located in Warren, the primary challenge is getting people to drive from Providence to shop with us! 4. We have a huge collection of new, used and rare music. Currently, we are expanding our vinyl selection every week. If we don’t already carry a particular title on vinyl or CD, we will do our best to find it for you. We haven’t changed our focus over the last three decades; we are exclusively dedicated to music and music fans. 5. We stay relevant by providing the human touch and by being an oasis for the hungry, inquisitive music fan. And as music buyers are trending back to owning a physical representation of music, not just an mp3, we are becoming more relevant every day! 6. Record Store Day is a great celebration that provides us with an opportunity to give a little bit back to our customers, with exclusive releases and giveaways. It’s a great day to hang out with your friends. 7. In addition to stocking limited edition Record Store Day releases, we’ll have a storewide sale on CDs and LPs. We’ll also feature several local DJs who will present music from a wide spectrum of artists and genres. DJs Will I. Is and Kellan both have an open-minded approach to spinning: their only requirement that a song must have to be played is that it’s GOOD. Looney Tunes is located at 562 Kingstown Rd in Wakefield. It is open Monday – Saturday 10am – 6pm and Sunday 10am – 5pm. You can call Looney Tunes at 401-782-9860 or check them out online at facebook.com/looneytunes. Looney Tunes has been open in Wakefield since the mid 1970s; I have owned and run it for 22 years. I was the store’s best customer, and looking for a career change when it went up for sale. I spent much of my early youth exploring and hanging out in record stores, so it seemed right. Turning people on to music is a great reward. The CD business is the greatest challenge; the invention of the iPod ruined CD sales, along with free downloading, a bad economy and a lack of interest from the buying public. The record companies all but abandoned the retail stores, and continue to hinder our growth, or existence, by raising prices on new vinyl because it is currently popular and deleting CD titles from the catalog so that we cannot return product to them. Looney Tunes is special because our staff is very knowledgeable about various forms of music, and our stock remains very deep! In the last few years, we have increased our vinyl selection very much, which keeps us relevant, as records are more popular than ever, certainly more than CDs. Record Store Day is a wonderful thing! It has shined the light on independent record retailing, away from the big box and corporate stores. It has created an interest in reissuing crucial tunes by classic artists on vinyl, as well as new releases by current artists. We always stock many of the limited edition titles on vinyl, and have a big sale on CDs, which this year will be 25% off all titles, new and used! Hopefully, some new customers will come in this Saturday and check us out for the first time, and our loyal fans will continue to shop here for their favorite music! Olympic Records is located at 580 Wickenden St in Providence. Hours of operation are Monday – Saturday 10am – 7pm and Sunday 10am – 1pm. You can call Olympic Records at 401-301-9266 or check them out online at olympicvinyl.tumblr.com/. 1. Olympic Records opened in July of 2011, which will make three years this July. 2. Olympic Records was born out of a love for records and music and an out-of-control personal record collection. My wife Erika and I decided to go for it and open a store. Providence’s East Side hadn’t had a record store that carried new music since Tom’s Tracks closed in early 2008 and that was a hole that I hoped we could fill. As luck would have it, I drove by the Wickenden Street location and within a month signed a lease. It really came together super quickly. A handful of friends and I turned what was a former personal trainer type gym into a record store in a month and a half and the store has been open seven days a week ever since. 3. Customer service has always been a high priority and I really enjoy hunting down things or special ordering records customers have been looking for. New or used, I try to bring in the best quality records that I can find. You won’t find any dollar bins full of scratched up classics or mint condition filler; I try to curate what I put out on the floor leaning more toward the oddball and off-the-beaten-path stuff within any one genre of music. I only sell vinyl (LPs and 45s) and a small amount of local cassettes. All used vinyl is inspected, machine cleaned and bagged before hitting the bins. The focus of Olympic Record’s new vinyl is on indie rock, local music, and anything else interesting that I come across or customers recommend to me. I hope to create a clean, comfortable environment for people and their friends to shop and hang out in. I have two pinball machines and chairs and books for people who might not have a record player yet or can’t browse as long as their friends. 4. Remaining relevant is always a challenge. Record labels including digital downloads with new vinyl was a huge step to get people to stop stealing music and start collecting again. 5. Record Store Day has helped to bring vinyl a bit more into the mainstream, and it does a great job in getting people excited to go record shopping. 6. For Record Store Day 2014, in addition to the highlights from all our favorite artists and labels off the Record Store Day list, we will run a big sale and have tons of goodies for everyone while supplies last. 7. The shop is seconds from I-95 with ample parking out front, easy on easy off. Buy / Sell / Trade / Want Lists Accepted. Cats, Dogs, kids and ?’s are OK by me. Record Store Day is every day. What Cheer Records + Vintage is located at 180 Angel St in Providence. They are open Monday – Thursday 11am – 7pm, Friday – Saturday from 11am – 8pm and Sunday from 12 – 5pm. You can call What Cheer Records + Vintage at 401-861-4244 or check them out online at whatcheerprovience.com. 1 + 2. First of all, a formality: our store name is now officially What Cheer Records + Vintage. We started our business in 1998 as What Cheer Antiques, but have become more and more of a record shop over the years, especially after relocating our shop to Thayer Street two years ago. My wife Jennifer and I grew up in the ’70s and ’80s when vinyl was how people listened to music, and it stuck with us. Neither of us really made the switch to CDs and have never stopped collecting and listening to vinyl records, so buying and selling them naturally became part of our business. About 10 years ago we also started organizing and promoting events, which we call the Providence Rock And Roll Yard Sale. We get together large numbers of DIY local vendors who sell vinyl records, DIY handmade and vintage goods. The next Providence Rock + Roll Yard Sale is part of a big Cinco de Mayo Block Party in downtown Providence on May 3rd on Westminster St. The rain date is May 4th. 3. For Jennifer and me, there’s nothing cooler than running a record store, constantly discovering and listening to music, and doing our best to turn other people on to things we think are great. I’m also a musician — I sing and play guitar in a band called the ‘Mericans — and music has always been a huge part of my life. 4. Like many small businesses, it’s hardly a way to get rich, but we get by and are doing something we both like very much. The biggest challenge is to stay relevant, and also to have as many irons in the fire as possible. Besides our store and events, we also sell records and vintage stuff online. This helps us when one or the other part of our business is slow. People have always been into records, but like all things, trends come and go, so being able to anticipate changes has also helped us stay in business for 16 years now. 5. What Cheer is unique in that we sell more than just records. We have a large inventory of vintage clothing, ephemera, books, antiques, art and more. But what also makes us unique as a record shop is that we focus only on vinyl (we do carry some used CDs and tapes, but vinyl is our focus). We’re also the only record shop on Thayer Street these days, which is a huge change from years past, when there were as many as five record shops on the street. 6. Record Store Day has become incredibly popular, and we love it. We’ve participated from its beginnings in 2008 and it’s become one of our best days of business. Every year we celebrate Record Store Day by having a sale, and we also carry many of the special limited edition record store day releases. We also try to have live music at What Cheer on Record Store Day and this year we’re having five different acts play live in-store : Arc Iris (Providence / former Low Anthem), the Brother Kite (Providence), Cotton Candy (Boston / featuring Mark Robinson of Teenbeat Records + the band Unrest), plus solo performances by Joey Sweeney and Heyward Howkins of Philadelphia. 7. Last year we had one of my favorite bands of all-time play live in-store on RSD — the Feelies. They were in town for a show at The Met, and somehow we talked them into stopping by to perform for us — this was incredible. We’ve also hosted several local acts to celebrate their new album releases, including Death Vessel and Allysen Callery, and we’re working on a date to have Roz Razkin And the Rice Cakes play later on this spring. 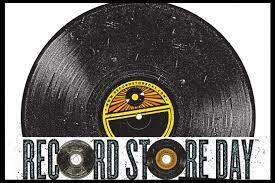 Record Store Day takes place all over the country on Saturday, April 19, 2014. Times and locations vary. Please check out www.recordstoreday.com for more information. For a list of releases exclusively being released on Record Store Day, go here: recordstoreday.com/SpecialReleases.